Fill out the form below and you'll hear from me within the hour (YEP). I promise to send you all sorts of pricing and fun details right away, and if you need help I'm literally an email or facetime away. Non-wedding inquiries can get at me by clicking here! Head on over to my Knot page and read some reviews from my past couples! Check out some of my featured real weddings + engagement sessions over on my blog! Step one: I'll email you everything you need, we talk packages, I answer all of your questions in lightning speed. Step two: You send in your $1000 deposit and throw your John Hancock down on your contract. 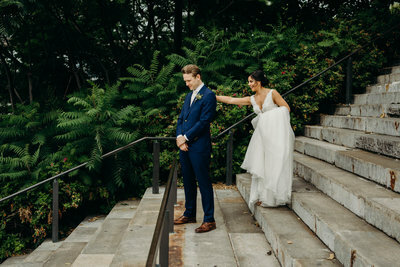 Step three: You live your best life on your wedding day (and I'll take all of the photos)! !